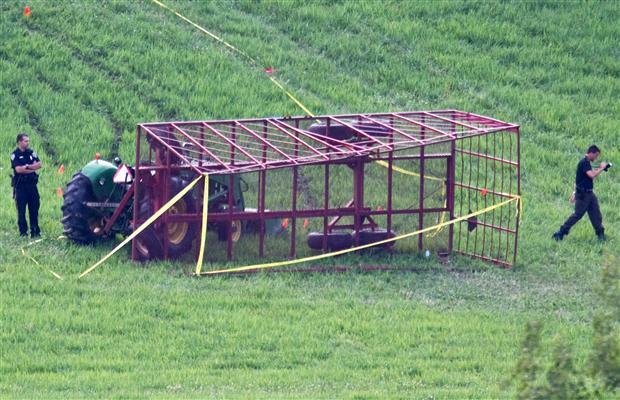 Sherbrooke — In an unexpected accident a tractor pulling a group of children at a Baptist Church Youth Camp in Sherbrooke, Quebec flipped over while traveling down a slope. Dozens of people were inside and some were flung from the vehicle. While some injuries are said to be serious, none are believed to be life threatening for the children who are aged seven to 10. According to reports, 27 were injured in the accident. Twelve ambulances and six fire trucks were called to the scene.